The Thaete Crew, whose regular plane was Evadin' Maiden, 44-6929. 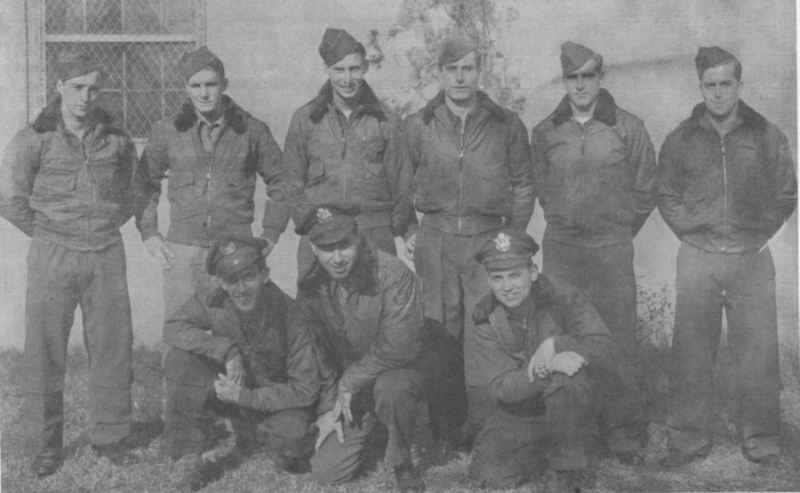 Standing L-R: Del Bainco, Sanders, Dulaney, Kardowsky, Olmstead and Joubert. Kneeling L-R: Guertin, Linden and Thaete.